The grieving mother of a 14-year-old Littlemanor boy is pleading with the Department of Health to investigate the circumstances surrounding her son’s untimely death at the notorious Unit 10 Clinic on 6 March 2019, as she believes that the doctor who was treating her son was negligent in his dispensation of medical treatment. Speaking to the Phoenix Tabloid, 48-year-old Vimla Govender, said she is waiting for the religious rituals to be completed and thereafter she will pursue justice in the wake of her son’s death. 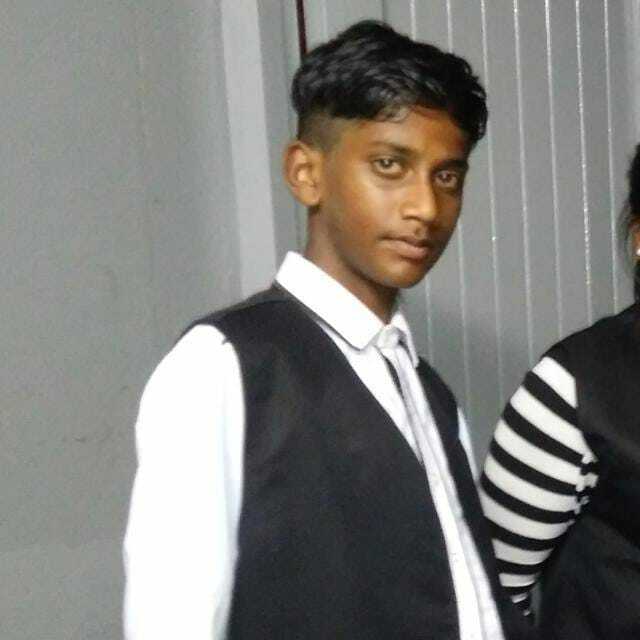 Grade nine Terence Manor Secondary learner, Caldon Reece Govender, took ill on Tuesday night and his condition became progressively worse by Wednesday morning. Experiencing symptoms of vomiting and severe chest pains, his mum rushed him to the Phoenix Community Health Centre (Unit 10 Clinic) by ambulance on Wednesday morning. “My son’s school teacher called home to find out why he wasn’t at school to write his exam. I explained that he was in extreme pain and I was rushing him to the clinic. At the clinic, my husband took over sorting the necessary paperwork whilst I waited with my son for treatment in the queue as instructed by clinic personnel. “A passing nurse noticed my son’s condition and enquired about his ailment. I explained the seriousness of his symptoms and she wheeled him to a consulting room where she quickly sent a doctor to treat him. The doctor and nurse argued as the doctor felt my son should follow the queue and said he had many other patients to attend to. Eventually the doctor assessed my son and took note of his vomiting but failed to treat him for his chest pains,” the devastated mother said. “My son was sent to the rehydration room and put on a drip. He was administered an injection. He was very restless and complained he couldn’t breathe. He was given oxygen and I fed him some water which he vomited. He continued complaining of severe chest pains. I sent my husband to fetch the medical team at which point my son took his last breath and passed away. Another doctor entered the room, but refused to treat my son as she claimed he was another doctor’s patient. “By the time the doctors and nurses arrived at his bedside to try and resuscitate him, he had passed on. They still worked on him for 15 minutes but he was dead. My husband and I knew that already. We were holding his hands when he screamed in pain, began frothing and his eyes rolled up and then closed shut. We saw him take his last breath,” cried the emotional mum. “I believe that the doctor failed to treat my son properly. He was negligent in every aspect I feel. Other patients permitted us to go ahead of them and not wait in the queue because they saw how sick my son was. But the doctor wanted us to follow the queue. He even flung my son’s file on the floor when the nurse urged him to treat my son. I believe that his failure to properly treat my son resulted in my son’s quick death. I want this doctor to be investigated and he must answer for his pathetic actions,” Govender said. Caldon who aspired to become an engineer was said to be a good learner and is sorely missed by his parents and other seven siblings. “I know nothing will bring back my son but I don’t want any parent to have to suffer what we did. To watch your child die in front of you helplessly, is torture. We went to the clinic because we believed that the doctors could help my son. This is why people go to the clinic. But my son did not receive the care that he was suppose to receive and we watched him die before our very eyes, all because of a doctor’s arrogance and negligence. We are praying that the DOH investigates this matter and helps us find closure because this grief is too much to bear,” a shattered Vimla said. The Phoenix Tabloid contacted the Department of Health and the Phoenix Community Heath Centre for a response on the allegations lodged by the Govender family but no comment was forthcoming at the time of going to print.